Hi guys. So I am trying to get up to speed with my blog because lately I have not been posting a lot and due to this my blog is becoming stagnant. In this post I am going to write a book review. 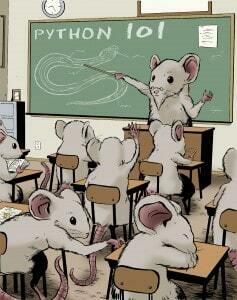 My friend Mike from The Mouse Vs The Python Blog recently wrote a book with the name of Python 101. He is a really talented blogger and programmer and I was waiting anxiously to read his brand new book, Python 101. In Python 101 Mike has clearly explained most of the basic concepts of Python in a straight forward way. Lets be honest, while I was reading his book I was trying to search those parts of the book which I could have written better and he clearly won because there is virtually nothing I could have made better. The division is really logical and helpful. The first part introduces you to the IDLE, strings, list comprehensions and the likes. The second part introduces you to a big but bite-able chunk of the Python standard library. The third part introduces you to the intermediate concepts like lambda, code profiling and decorators. The forth part contains some tutorials whereas the fifth part introduces you to the concept of sharing your code using PyPI and executable files. All in all I really liked the book. I would suggest this book to all those starting out with Python and those who want to brush up their basic Python skills. I should also note here that although I have been programming in Python for quite some time but still I found a couple of useful tips and tricks in this book. So that was it. I hope you will give a go to this book and don’t forget to write about your experiences with this book in the comments below. I will also ask Mike about a possibility to run a Giveaway for this book over here but till then hop over to his blog because he is running a Giveaway which is valid till the 4th of the next month that is July. I hope you liked this review and don’t forget to follow this blog to get your daily dose of Python goodness.